in the blinking of an eye, ah, that moment’s gone. 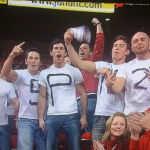 This is from CBS version of One Shining Moment. Craig as a child, even as an adult, was one that was always asking questions. One such question I was always asked was, “Dad, Think we (Arkansas Razorbacks) will ever win another national championship?”. I even saved one of these text message exchanges as a photo, which you see here. Watching March Madness makes me miss Craig deeply. We always analyzed brackets and marveled at the amazing plays throughout the tournament. 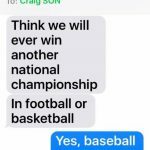 Just before last year’s national championship game, I texted his number and said, “You got Villanova or NC? I’m pulling for Villanova!! Love you!” The next morning I got a response, “Who is this”. 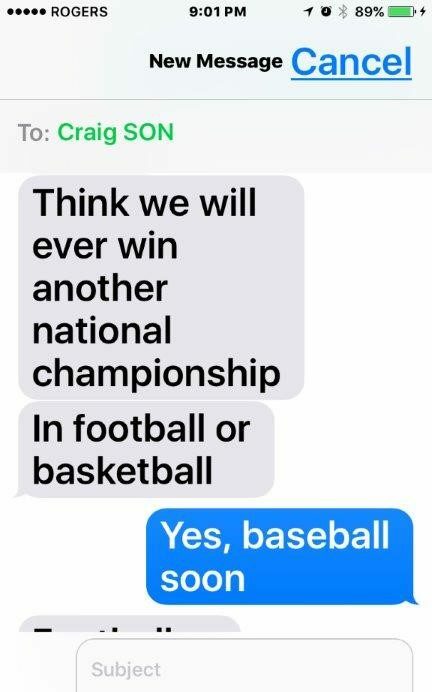 Haha, well, even though I knew Craig’s phone had been deleted, I continued to send text messages to his number occasionally. Someone had his number now. I just wonder if this person gets more random texts or calls, Craig had a very large contact list. 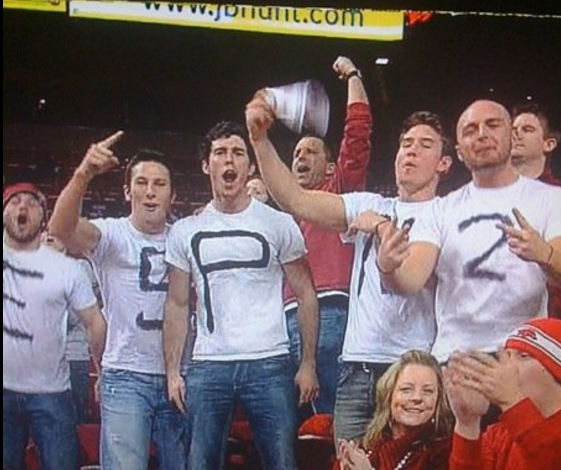 He always had a way of getting the ESPN camera man’s attention. Here’s a great picture of Craig doing just that. Everyone expected to see him on TV and he never disappointed. Love y’all, remember seek Heaven! It’s the little things we see or do that makes us remember and smile. I have come to bear witness to the Truth!